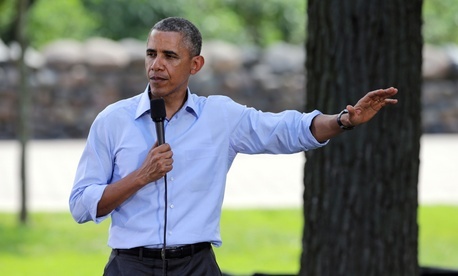 President Obama declared Thursday that 99 percent of federal employees are not boneheads. "Are there some federal workers who do some boneheaded things? Absolutely,” Obama said at a town hall meeting in Minneapolis, Politico reported. Gates' remarks clearly made an impression on Obama. In Sept. 2012, he also noted publicly that "at any moment in the federal government, there will be people who do dumb things." The 1 percent principle of boneheadedness probably puts the federal government on par with any other large organization. Of course, it also means that at any particular point in time, in some corner of government, somebody is doing something like pooping in the hallway.